I wished to share my PE experience which is now 3 months out. Back in May, I just came back from a successful but exhausting trip in Calgary to my Montreal home. I decided to extend the long weekend by taking Friday off when I woke up with a strange and out of place feeling in my right breast. It felt like a little inner poke or a little lump. It did not feel cardiac, more muscular, but still out of place. I found it strange as I only did cardio workouts for the last few days and did no lift any weights or performed push-ups. Since it was on my rights side, there was no immediate panic and I simply tried to rub it out over and over again. I even called one of my staff and joked about this sudden chest discomfort brushing it off as nothing. I went downstairs, my wife was on the twins case about homework and getting their project done – being a traveling father and now dealing with this lump, I really did not want to get into it and kept rubbing by chest as the discomfort grew. At this point it was not painful but did not feel natural. We all have aches and pains and in most cases they go away – or so I was hoping. The uneasiness grew, I did not want to scare my wife and kids and discreetly started to look up heart attack symptoms on my iPad, took 2 baby aspirins -and even some Tums. Even though it was on my right side, it was in my chest area. I had no typical symptoms except for this persistent lump that I kept rubbing. So I figured I had to “walk it off” and went to do errands with my head slightly getting overloaded with anxiety. I came home and kept holding my chest. It was not really painful, just out of place. I figured I might as well get it checked out as it was not going away. Somehow this hit my little boy and he began to cry and fear for his Dad. I decided to drive myself to the Lakeshore General hospital in the West Island of Montreal. Now Lakeshore is not the biggest hospital in Montreal and does not have the reputation carried by the Montreal General, Royal Vic or the Montreal Jewish hospital. It’s close by and convenient. I figured and “hoped” that if I did have a cardiac event, they would know what to do and, if need be, stabilize me and ship me out. But a hospital is a hospital and I just lauded spending possibly hours in ER triage and waiting room. I mean I looked really healthy otherwise so who knew what the wait would be, I packed up my iPod , iPad, chargers and portable Wi-Fi. I was set for the next several hours. As I left home, my wife said, “Tell them you have chest pains and high cholesterol.” Okay, I guess, anything to get through this faster so I can back home. She barraged me with the typical questions and asked me the pain level from 1 to 10. Something I did not expect, at this point there was no DVT pain or anything except for this lump. “About 3, but if I move this way or breathe hard it can go up to a 6 maybe,” I replied and went to sit down because I was getting light-headed with stress and hunger. They gave me an EKG that was rather funky but not definitive. Blood work, several hours apart, was in order to see if the ticker got damaged and the gurney took me from triage to the bowels of the ER. A young Doctor who comes from the same country as my parents and with the seriousness of seeing one too many hypochondriacs asked me again to quantify the level of pain I had, if I had shortness of breath etc… Frankly at this point, I thought I was wasting everyone’s time including my own. I was to be kept overnight, monitored and told I would have to to take anti-coagulants and blood thinners. In the morning, I would see a hematologist. I asked if I could be out of the hospital by 1:00 p.m. as the puck was dropping at that time for the hockey playoffs. I had priorities obviously. I was nevertheless stunned. I knew it was serious, but realized only when I started doing internet searches on the severity of the matter. The young doctor’s gut feeling to do this scan probably saved my life and/or avoided further internal trauma and damage to my lungs or worse. Spending a night in the ER is quite something, but the staff made me feel comfortable, even fetching me a sandwich when I was starving late in the evening. I was quite happy to go home. Say what you want about the Canadian Medicare system, but it works. I had no papers, insurance or others to sign and all that it cost me was $13.50 for parking. I now continue to see a no-nonsense hematologist at the hospital and am proceeding strongly. I have recovered well, and after reading the challenges of so many, I feel fortunate. I was back doing long walks and working out. I did suffer a setback due to a severe summer cold causing extreme fatigue, but finally recovered from that and am back full swing. I continue to take Coumadin and am stable with little bleeding incidents. I will likely do so for a long time, if not life. 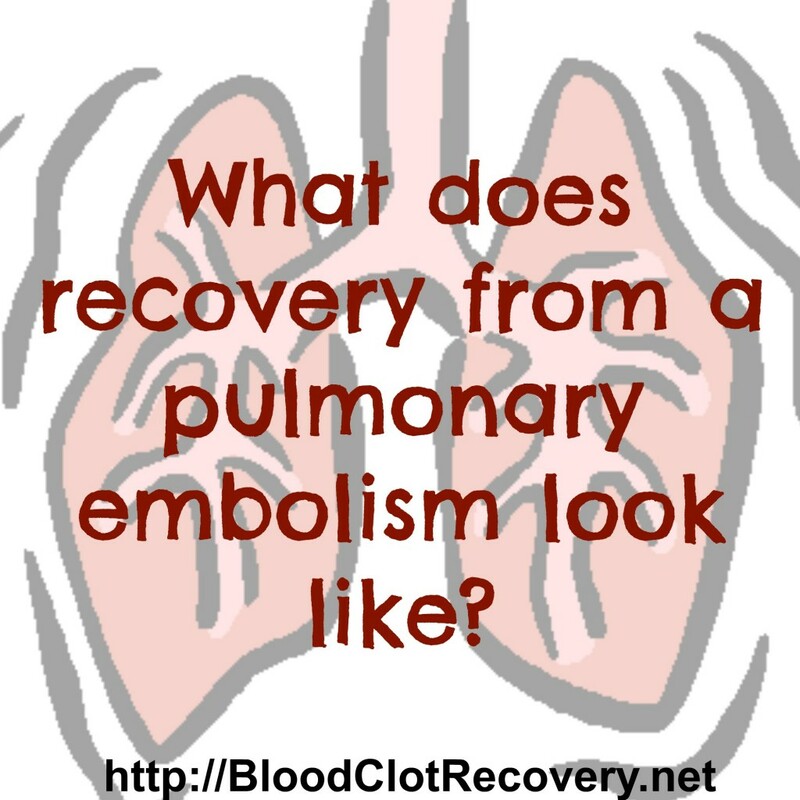 Since I left, I joined Blood Clot Recovery Network on Facebook or BCRN. Sara, the founder, has been my rock, helping me understand what was happening to me, to my body, and what was I going through in the healing process. For this I’m grateful to Sara and her commitment. My awareness regarding thrombosis is at a heightened level, and I feel lucky to be able to share my story and while fortunate appreciate the struggles that so many who are afflicted by a blood disorder go through. 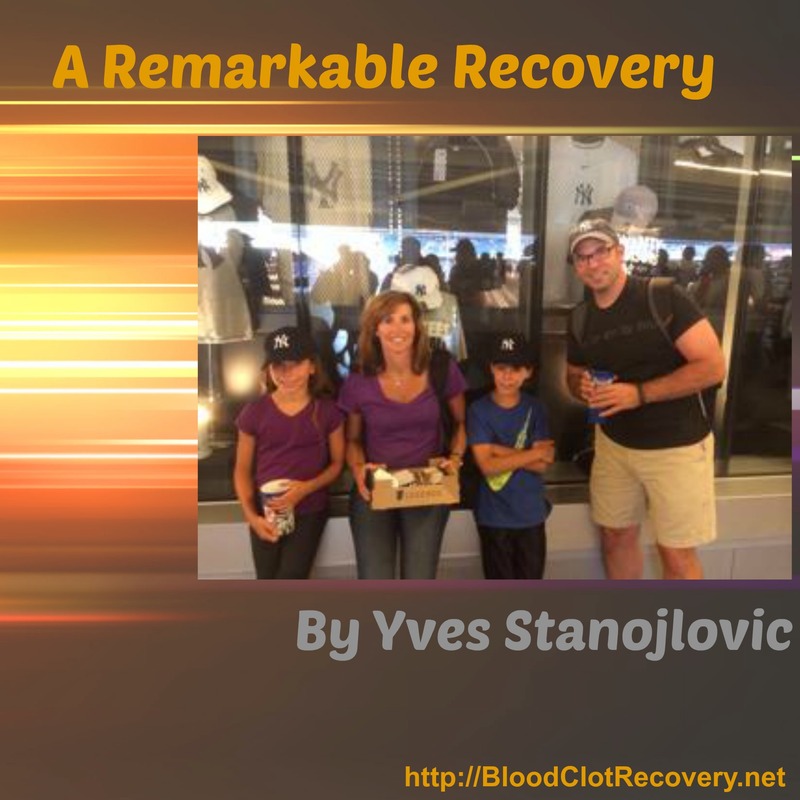 *Editor’s Note: Thank you, Yves, for sharing your story with BCRN! Connect with Yves in the comments below or in the BCRN Facebook Discussion Group. Get connected today and receive blog updates, new information, resources and tips delivered right to your inbox. Your privacy is important to us, we do not sell or share your information. 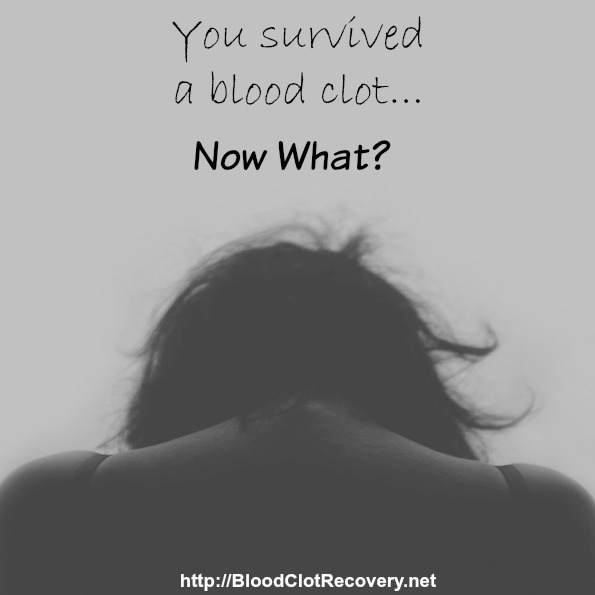 Hope for healing after blood clots is a gift that you all have access to right now. Find out how I did it, and how you can too. Are you tired of struggling alone? You don't have to. 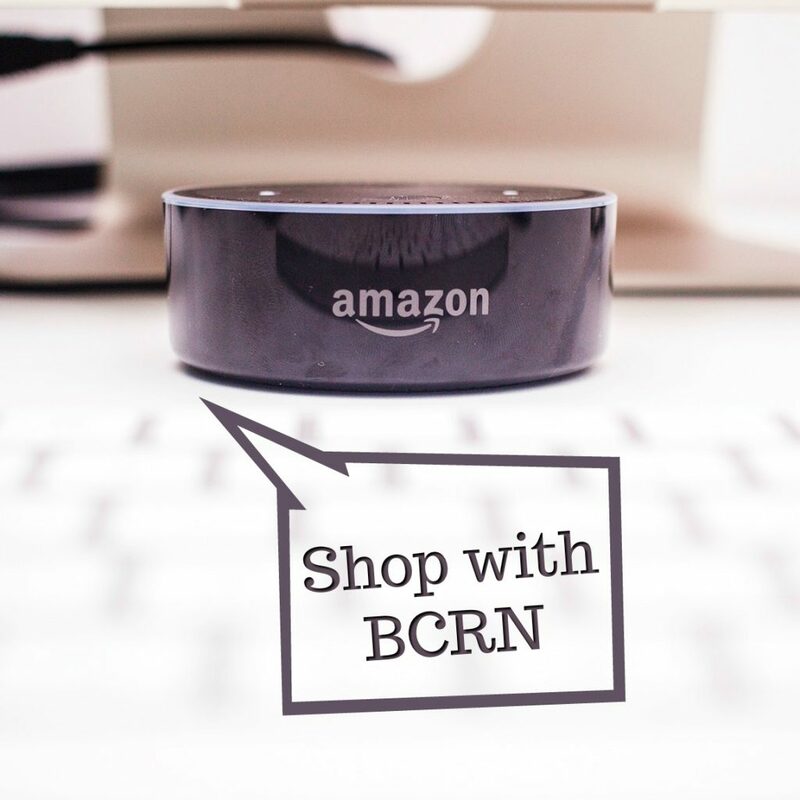 Join over 3,000 members in BCRN's exclusive Facebook Group and gain personal, real-time support. Ask to "Join Group" and your request will be received shortly. 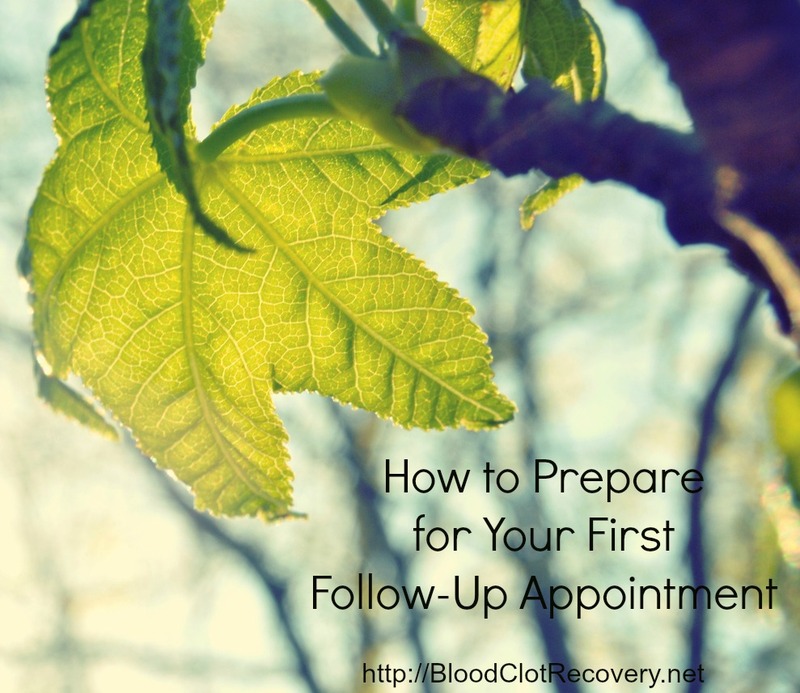 Newly diagnosed and don't know where to begin? Here are a few things I have discovered during the recovery process that are important for healing. A printable list of questions for your first doctor appointment. Take it with you. Recovery can take a long time (1-2 years) and varies for each individual. 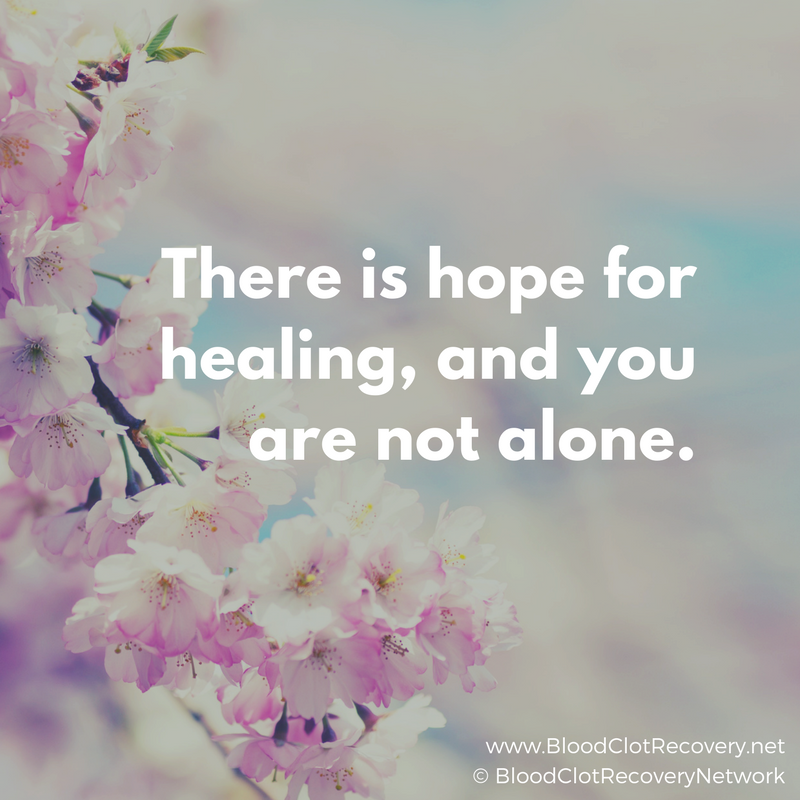 Read more about what to expect and connect with others who are also recovering. It can be hard to know when to call your doctor. 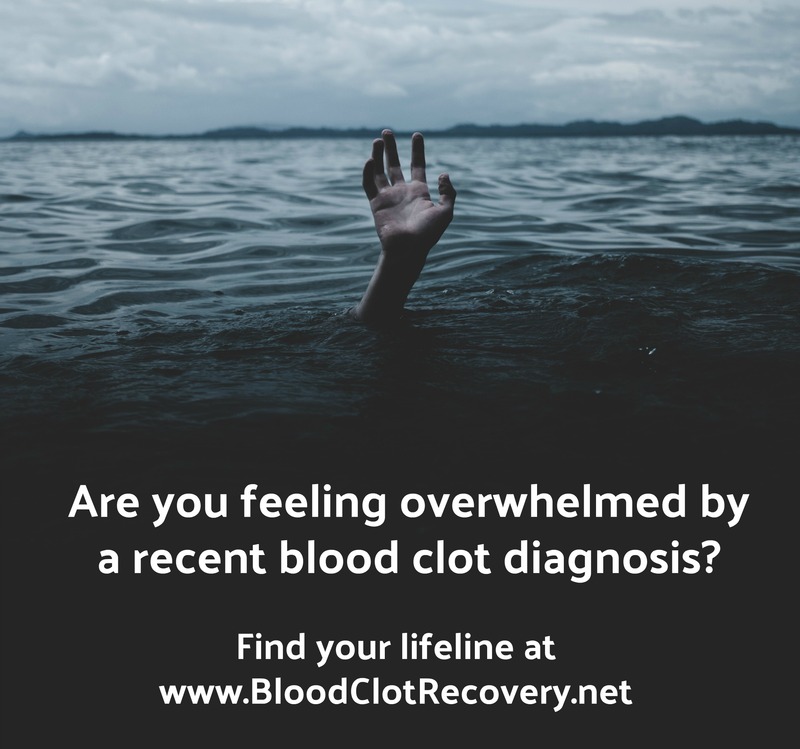 In this post, find more information about important clotting and bleeding symptoms you need to be aware of, and start learning to trust your body again. It is a common misconception that people on warfarin should avoid Vitamin K. It is not about eliminating Vitamin K from your diet, it is about eating with consistency. 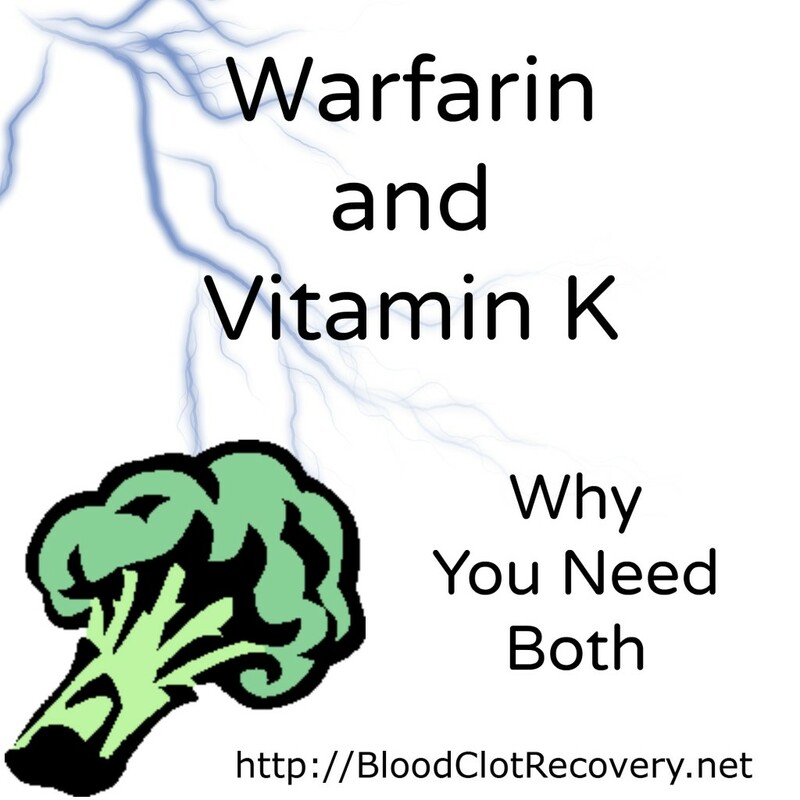 Read more about why you need both Vitamin K and Warfarin. 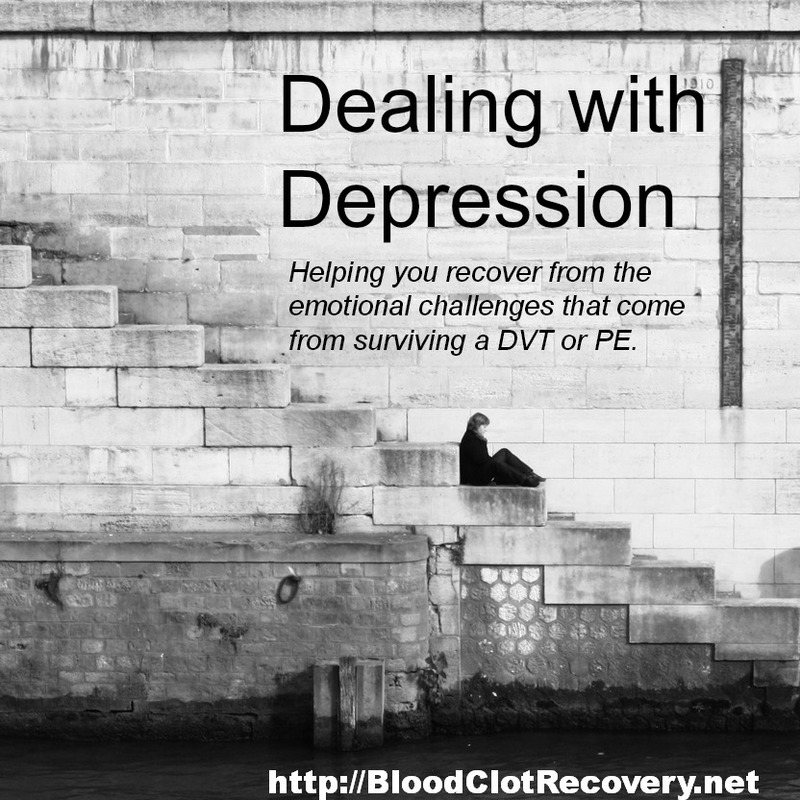 Feeling depressed and anxious after your blood clot? You're not alone. 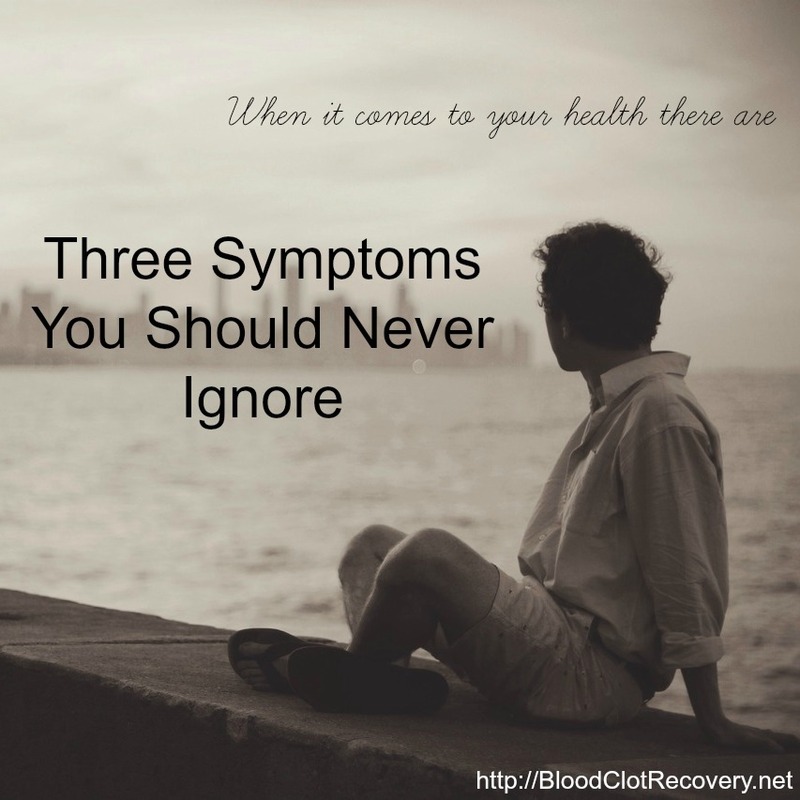 The psychological affects of a blood clot are very real, although not very talked about. Until now. 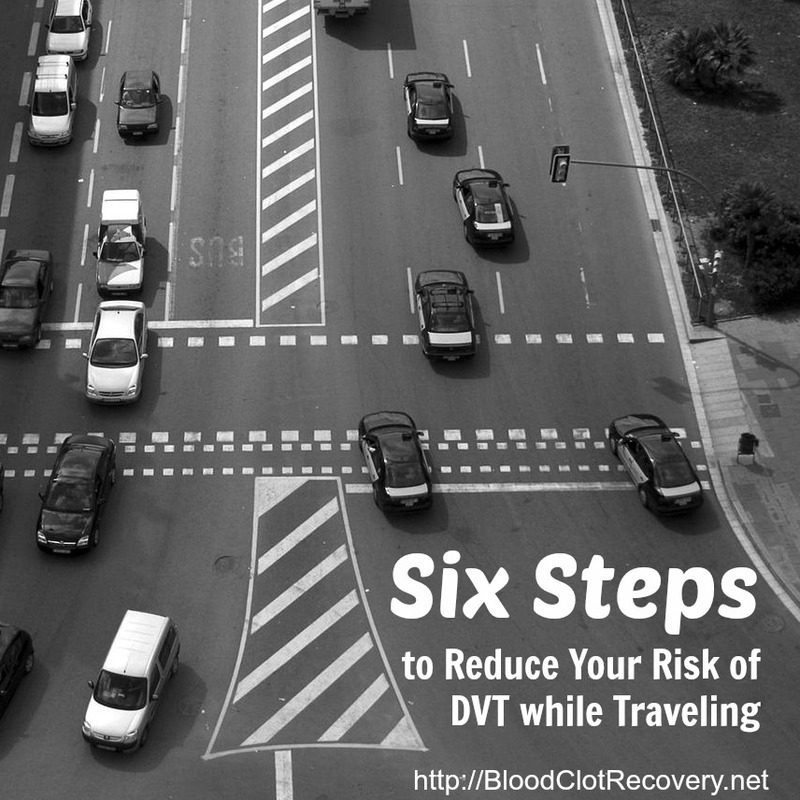 You don't have to give up car or airline travel post-blood clot. Here is how you can travel and stay safe. 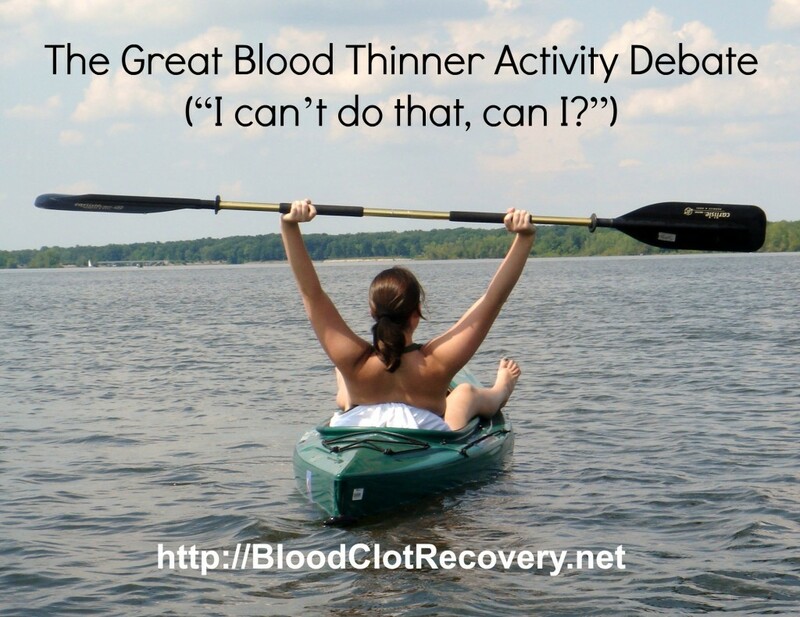 You can still do the things you love after a blood clot - even on blood thinners. You don't have to stop living the life you love. 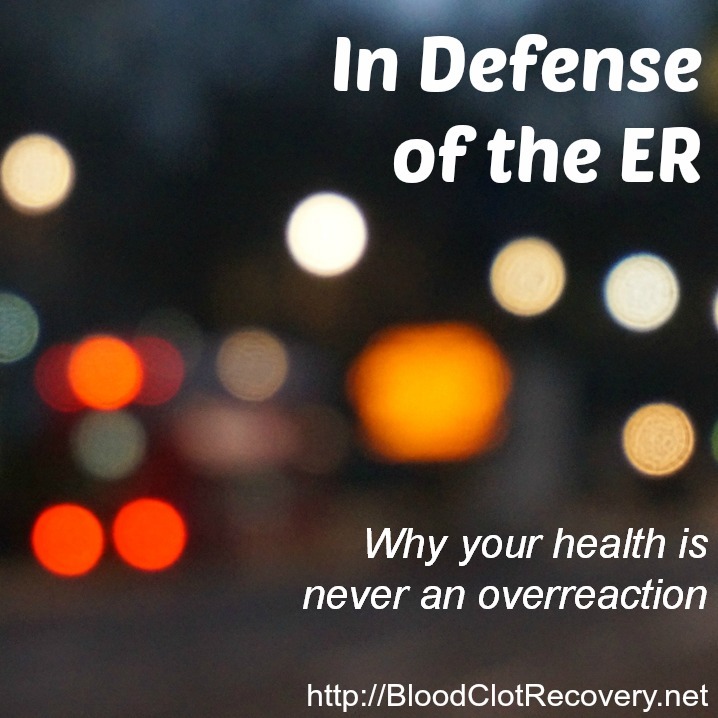 Are you feeling the pain, fatigue and sensitivity long after your blood clot happened? You're not alone and it's not in your head. 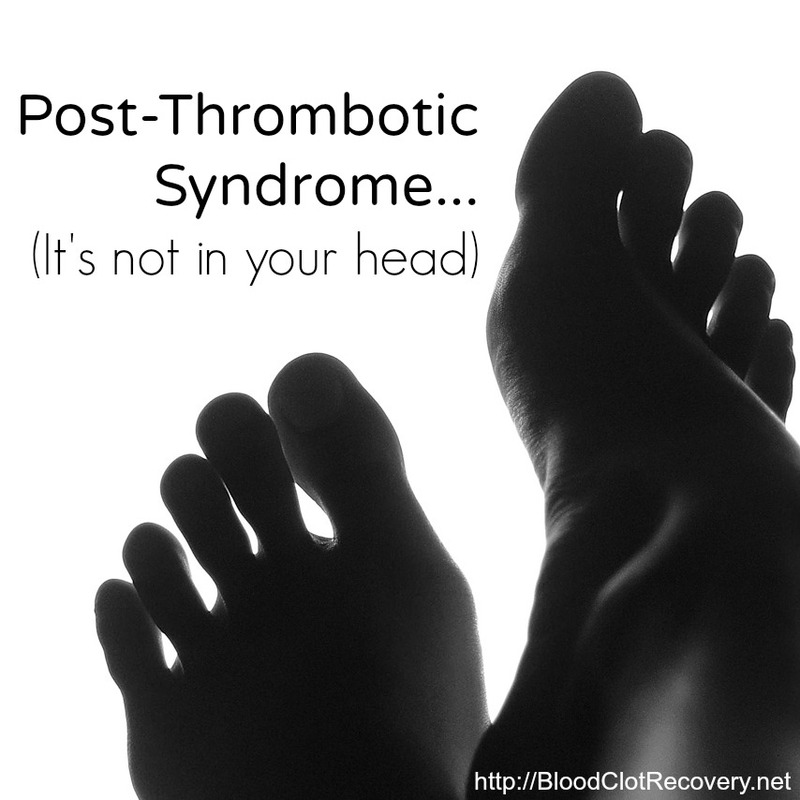 Read more about post-thrombotic syndrome here. 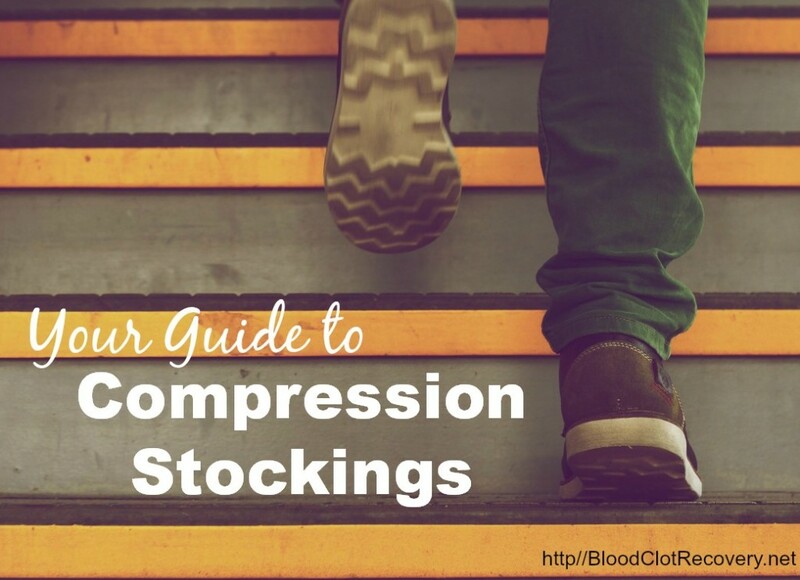 Compression stockings are specially designed stockings or socks that apply pressure to your lower legs, helping to maintain blood flow and reduce discomfort and swelling. Here's everything you need to know. If you have anything that causes you concern enough to wonder if something else might be going on, you are right in seeking medical attention. Do not not let anyone tell you or treat you differently - not even medical professionals. You should never ignore shortness of breath, chest pains or headaches. Your body might be trying to tell you something serious is going on. Visit my Amazon Influencer Shop and stock up on the products I use to manage my health every day. APS Foundation of America, Inc. This website is for informational purposes only, and is not intended to be substituted for professional medical care or treatment. 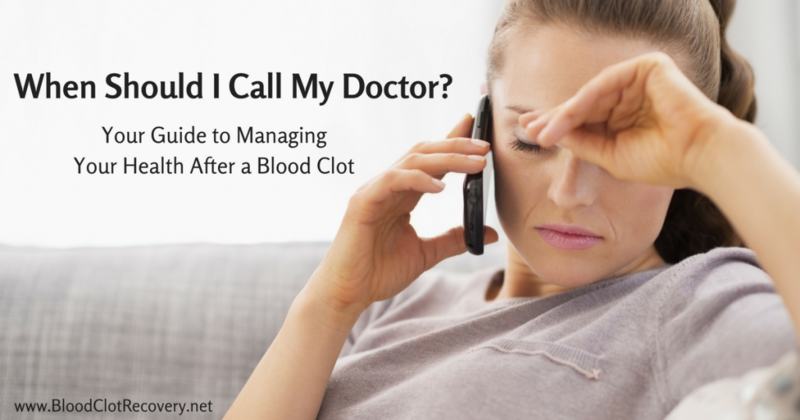 If you believe you have a blood clot, call your doctor or seek immediate emergency medical attention.